Throwing down the marriage gauntlet has never been so wild. Thirty-something paralegal, Hadley Beckett and charismatic, local sportscaster/daredevil, Finn Wilder, disagree about how they should share their lives together. Having been together for three years, Finn increasingly pressures Hadley to move in with him, but being unusually traditional, she wants to be married first, adhering to her moral beliefs, just as he clings to his own religious upbringing when it comes to procreating with her. Each is unwilling to negotiate or concede marriage to the other. Complicating matters is Finn’s seemingly double life, keeping his private life hidden to the point of convincing his viewers—Finnatics—and even his coworkers, he’s single, amid Hadley’s objections. Yet despite their immense disparities, they are determined to make their relationship work, even if it means Hadley has to take their future into her own hands. Then again, Finn Wilder has his own story to tell. 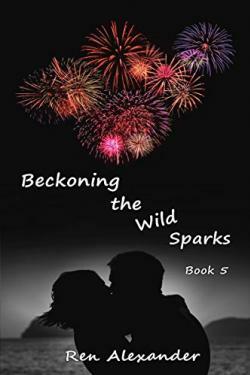 In the follow-up to “Chasing the Wild Sparks,” Hadley Beckett’s quest for wedded bliss perseveres…Hadley makes plans concerning her future with her sportscaster/daredevil boyfriend Finn Wilder. Big plans. Infamously anti-marriage, Finn promised Hadley he’d consider taking her to the altar if she gives him more time. Diving headfirst and with encouragement from her friends, Hadley concocts her own way to handle Finn if he can't commit toher soon. Knowing she has an uphill climb ahead of her, Hadley is still determined to succeed, yet is she unwittingly destined to fail? 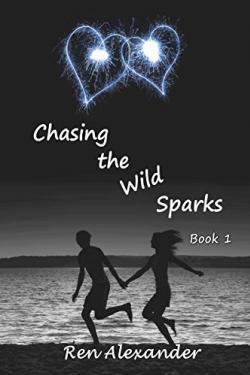 In the second follow up to “Chasing the Wild Sparks,” Hadley Beckett comes closer to triumphing over a reluctant Finn Wilder…What would you do if the love of your life gave you the keys to the kingdom, but won’t let you in? At the end of her rope, Hadley grabs her intrepid boyfriend Finn Wilder’s world by the…bridge. Finally ready to end the never-ending merry-go-round that is their unknotted life together, she enlists the help of her friends to help boost her own courage. 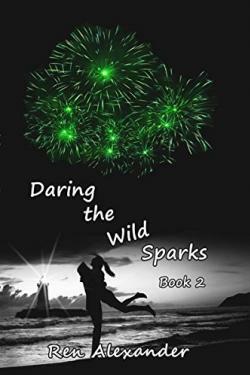 Since Finn is all about walking on the wild side but not down an aisle, Hadley challenges him to the ultimate test that will prove her more daring than the daredevil himself, hoping Finn will take notice and change his mind about making her forever his. Throwing down the irrevocable gauntlet, will Hadley celebrate supreme victory over his heart or will she accept the cruelest defeat at the very hand she holds? Hadley Beckett has a long way to go on the heartbreaking and unforgiving road to redemption. 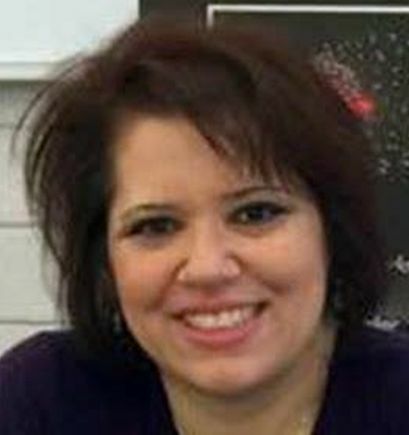 As she continues to recover, her family and friends rally around her, each having their own idea about how to help Hadley heal, as honest or misguided they may be. Hang on for this uncertain journey with Hadley as she discovers truths she never knew existed, and uncovers lies she thought were her reality. 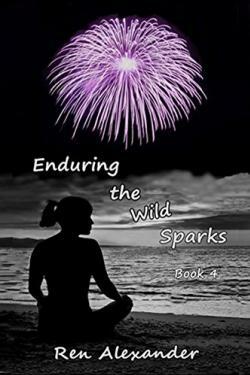 Through all the hardship, she'll find this isn't the finale for her. It's a fresh start. Yet, after the catastrophic end she had feared for three years came true, a fresh start may be an unexpected ignition to a new explosion, learning the road to Hell is paved with good intentions, and sticks of dynamite. Every woman has a breaking point. Hadley Beckett has met hers. On her path to recovery, Hadley encounters the ghost she tried to exorcise from her life. Followed by a shocking heartbreak, she’s thrown into a tailspin and must rise and forge ahead. Despite her watchful family and friends, Hadley is determined to continue her journey on the road to redemption alone, even if it means her angels and demons collide, forever rocking her world. 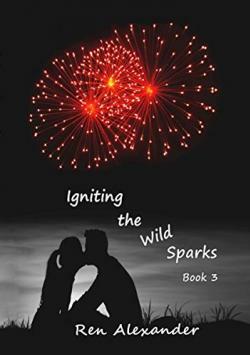 Resolved to survive her recent inferno, Hadley’s perseverance sparks chaos when she finds unexpected love among the ashes. Reigniting her world and those in it, through the fire, she must endure, daring to chase away her demons before they claim her victory, or her life.